Bhekisipho Twala is a Professor in Artificial Intelligence and Statistical Science and the Director of the Institute for Intelligent Systems at the University of Johannesburg (UJ) in South Africa. Before then, he was Head of the Electrical and Electronic Engineering Science Department at UJ and before then, a Principal Research Scientist at the Council of Science and Industrial Research (CSIR) within the Modelling and Digital Science Unit. His research work at the CSIR involved an expanded swath of data, analytics, and optimization approaches that brings a more complete understanding of digital customer experiences. Prof. Twala was also a post-doctoral researcher at Brunel University in the UK, mainly focussing on empirical software engineering research and looking at data quality issues in software engineering. Currently, his work involves promoting and conducting research in artificial intelligence within the electrical and electronic engineering science fields and developing novel and innovative solutions to key research problems in these areas. 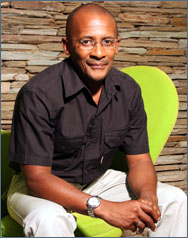 Prof Bhekisipho Twala earned his Bachelor’s degree in Economics and Statistics from the University of Swaziland in 1993; followed by an MSc in Computational Statistics from Southampton University (UK) in 1995; and then a PhD in Machine Learning and Statistical Science from the Open University (UK) in 2005. His broad research interests include multivariate statistics, classification methods, knowledge discovery and reasoning with uncertainty, sensor data fusion and inference, and the interface between statistics and computing. He has particular interests in applications in finance, medicine, psychology, software engineering and most recently in robotics and has published over 100 scientific papers. Prof. Bhekisipho Twala has a wide ranging work experience to organisations ranging from banks, through universities, to governments. He is currently Editor-in-Chief of the International Journal of Semantic and Infrastructure Services; Regional Editor of the International Journal of Big Data Intelligence; an Associate Editor of the Intelligent Data Analysis Journal, Journal of Computers, International Journal of Advanced Information Science and Technology, International Journal of Big Data Intelligence, Journal of Image and Data Fusion, Journal of Information Processing Systems, International Journal of Internet of Things & Its Applications. Prof Twala is also a fellow of the Royal Statistical Society. Other professional memberships include the Association of Computing Machinery (ACM); the Chartered Institute of Logistics and Transport (CIT), South Africa, Senior Member of the Institute of Electrical and Electronics Engineers (IEEE), member of the International Association of Engineers South; South African Council for Automation; and Control, International Federation of Automatic control. Synopsys of topic: While the 4th Industrial revolution (driven by Big Data) offers an incredible glimpse into global society, the continent of Africa is starkly absent and that analyses of traditional large datasets like social media capture the local events and perspectives of African countries very poorly. Yet, with a special focus on Africa and the addition of technologies like machine translation, is it not possible to bring the continent back into the view of “big data” analytics and the 4th industrial revolution?